The prime minister of Belize, Dean O. Barrow, a University of Miami law school graduate, will make his first official visit to South Florida from June 25 to 27. The trip seeks to bring Barrow closer to South Florida's Belizean community in an effort to foster investment and business opportunities. The visit coincides with a weekend series of events that include an investment trade show in Miami Beach, a dinner gala and public forum. On June 25, Barrow will visit his alma mater -- the University Of Miami School Of Law where he will receive a tour of the Coral Gables campus and meet with university officials. 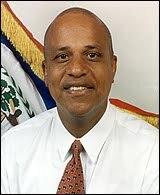 For more information on Barrow's visit, contact Janine Sylvestre at 305-755-0276 or visit www.belizepmvisit.com.